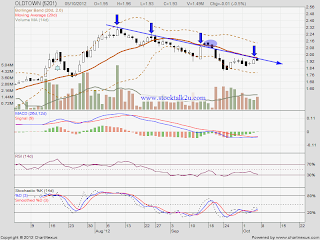 OLDTOWN keep forming lower high & lower low. Immediate resistance would be MA20 level. If able break through, it might retest MA50 resistance support. 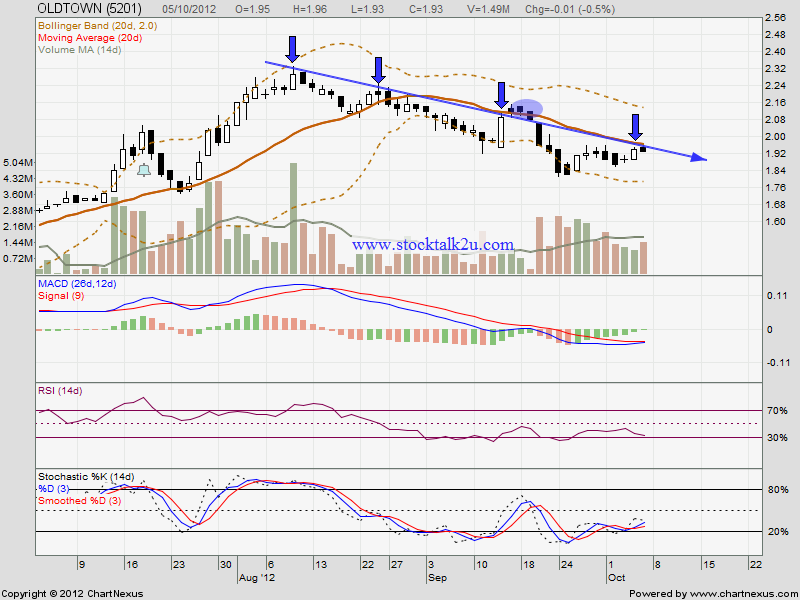 Immediate support @ MA100 level which is RM1.82 support level.